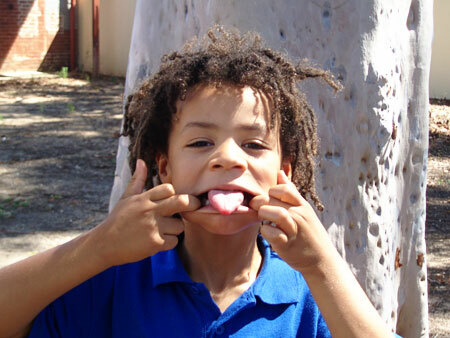 Here’s part 2 of the photos of my lad in after school care over the last couple of years. Here’s part 1. Here’s yet another funny face. There’s not many photos at his after school care with a natural expression, except for when he doesn’t know a photo is being taken. Bravado covering up shyness perhaps? This is during his swimming. At after school care during the first and last term when it’s warmer, they organise swimming one or two afternoons a week. It’s happening again this term and I was quite shocked when I went to pick him the other day and he hadn’t gone swimming. Mind you, his class also had swimming that day so he’d probably had enough. He was in his bathers though. Here he is accentuating his natural hair. They have a dressup box. I caught him wearing a very groovy hat the other day. During vacation care the kids go out on excursions. 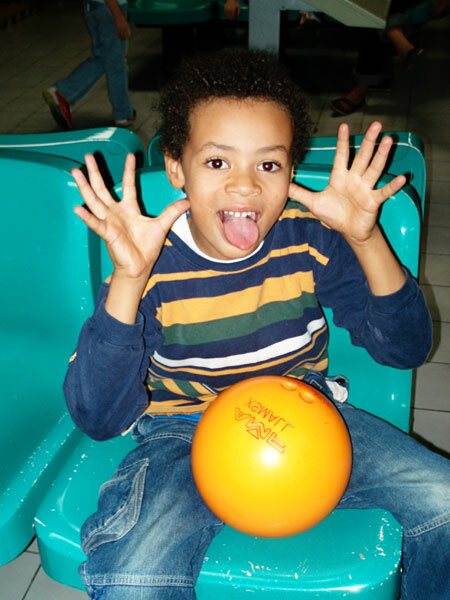 Bowling is one of JJ’s favourite things to do, along with making a funny face. That’s it for now, until I get another CD of photos from after school care. 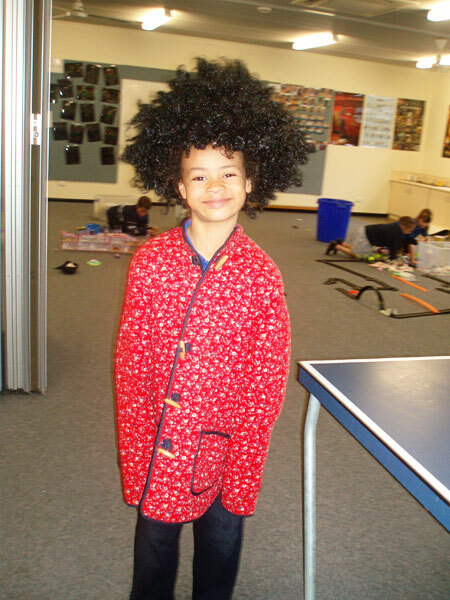 I shudder at the wig in the dress-up box – not because its not fantastic (it is) but I have had the battle with headlice since ‘Salina first went to childcare, and anything that involves the sharing of headwear just makes me cringe!! 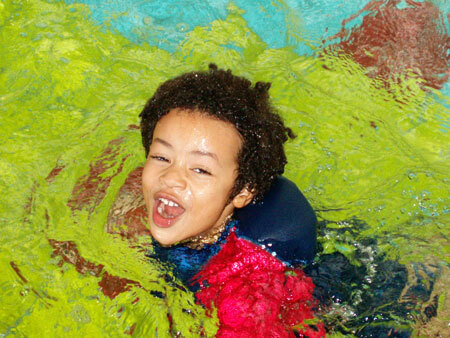 I thought he was in some sort of multicoloured goop in the swimming one. Jeanie, I didn’t even think of the headlice thing with wigs. Unfortunately I can’t do much about that one. And I can’t work out the colours in the swimming photo either. Pretty sure it’s not goop.